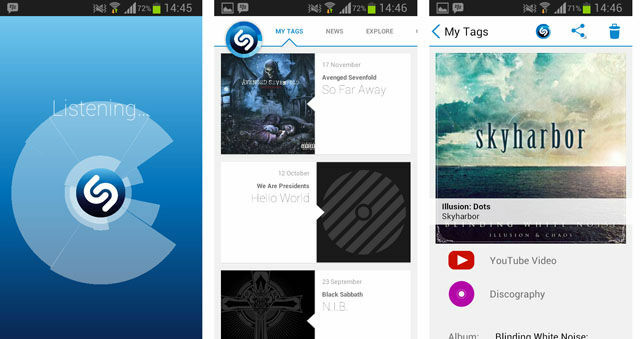 We round-up 6 of the best and most useful music apps that you should have if you use an Android device. The number of apps on all mobile platforms has been rolling up pretty fast especially Android. The increasing numbers leave consumers in a dilemma as to what is the right choice for him/her according to their preference. Well, just to make things easy for you, we tried out some apps for the ones who are inclined towards music. We have suggested your usual music playing apps as well as some interesting apps that allow you to recognise songs, find lyrics and even share them to your favourite social media network. This is your basic radio streaming app that has about 1,00,000 live radio stations for you to choose from. The app even includes podcasts, shows and even concerts which are available free of cost. The app has an easy to use interface and allows you to save your favourite stations in case you want to listen to the same station later. It even has a browsing feature which lets you search for a specific station via location, music genres, language, news, sports, and more. It even shows some Indian radio stations like AIR FM Gold and Rainbow. The only annoying bit we found was that it doesn’t let you skip songs, it has a limit. 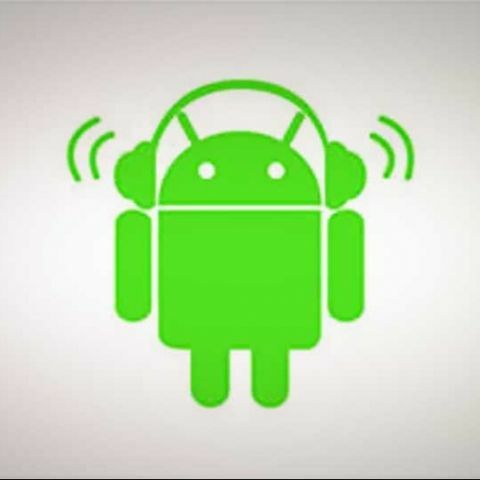 TuneIn Radio is available free on the Google Play store; you can download it from here. If you are a social media buff, then this app will entice you. Nwplyng lets you post a song that you are listening on to your Facebook, Twitter and even Foursquare timeline. We noticed that it works on the principles of Foursquare where instead of checking-in to a place, you listen to a song and similarly you can add and follow friends, get reward points for posting a song, and so forth. The UI of Nwplyng is pretty nice and one doesn’t take time to get used to the app. It recognizes your songs using the Gracenote library, however we did face issues while recognizing a number of songs, so that was a small let down, but you can always type in the song that you are listening to. Check out and download Nwplyng from the Google Play store over here. How many times has it happened that you listen to a song at a bar or on the radio and you can’t remember the name of the song or the artist? Shazam easily solves that problem as it listens to the song that is playing, searches its online database, recognizes it and gives you the details of the track. The best thing about this app is that it saves all your search results into a tab called ‘My tags’ and all the search results include the name of the song, artist, album, the record label, a YouTube link (if available), discography of the artist (if available), a link to buy the song/album and the location from where you searched the song for. The app even lets you share your searched information onto your social media networks including Facebook, Google , Twitter and etc. The app is available free of cost on the Google Play store over here. One of our favourite apps is musiXmatch which is primarily a music player that organizes your music library. Apart from that it recognizes all of the songs in your library and provides you with the lyrics. It doesn’t stop there as it has an option that lets you sing along with your song where the app shows you scrolling lyrics and even lowers down the level of vocals in the song being played (pretty cool for karaoke nights). The app has a song recognition feature, meta-data and album art fixing, an equalizer, its own lock-screen and an appealing UI. Some of the features are limited though which will later direct you to an in-app purchase. You can download and try the app from the Google Play store over here. If you prefer Indian music, especially Bollywood, then Saavn is perhaps one of the best apps to stream music. It comes with an option to choose your language (Hindi, English, Tamil, Telugu, Punjabi, etc) and one can easily search for the latest regional music. Saavn allows you to even save your own playlist and share the songs that you are listening to on social networking websites after you sign up for free. Hit here to download Saavn from the Google Play store. SoundCloud is a great app if you follow music religiously. The app basically connects you to the SoundCloud network where all artists including bands, producers and even sound engineers share and talk about their original content. You can search and explore new music or just follow your favourite band/singer and keep a tab on their work and releases. You can also create your own playlist and like your favourite songs in case you want to listen to a song in the future. If you are a musician, then you can upload your own work and share with the world. The app is free of cost and is available on the Google Play store over here. What are the best music apps on android? Which is the best Personlization app for ANDROID DEVICES ? Cool Android Apps for Kids?